Thymus serpyllum, known by the common names of Creeping Purple Thyme or wild thyme, is a species of flowering plant Thymus serpyllum, known by the common names of Creeping Purple Thyme or wild thyme, is a species of flowering plant in the mint family Lamiaceae, native to most of Europe and North Africa. 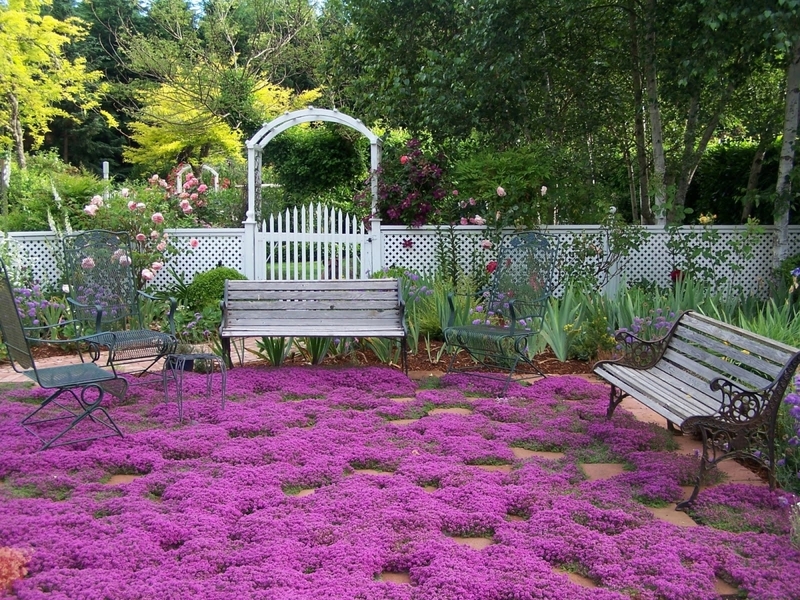 Thyme is best cultivated in a hot, sunny location with well-drained soil. 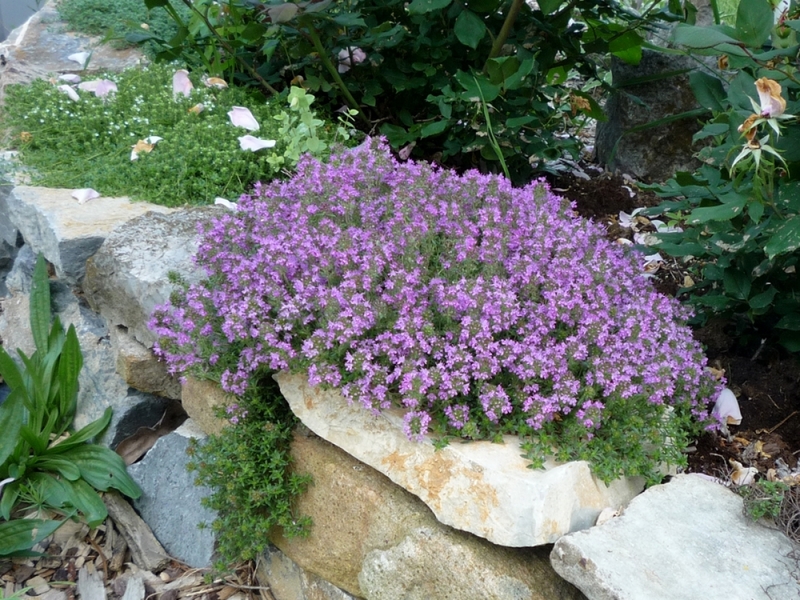 People have used thyme in many ways, from cough medicine to exorcising evil spirits and attracting a bride. 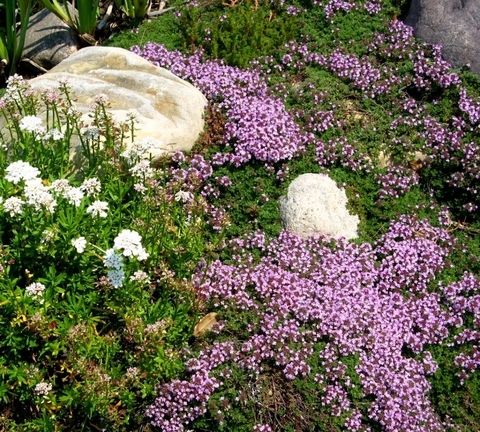 Its popularity is based on its super-vigorous, lemon-scented, brighly-flowered. 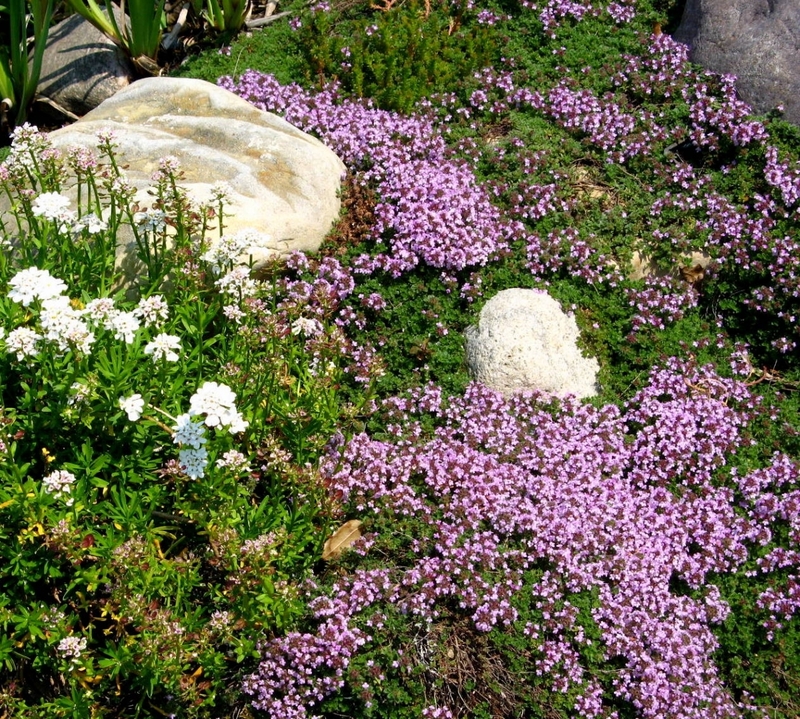 It has very small, fine aromatic leaves that form a carpet. 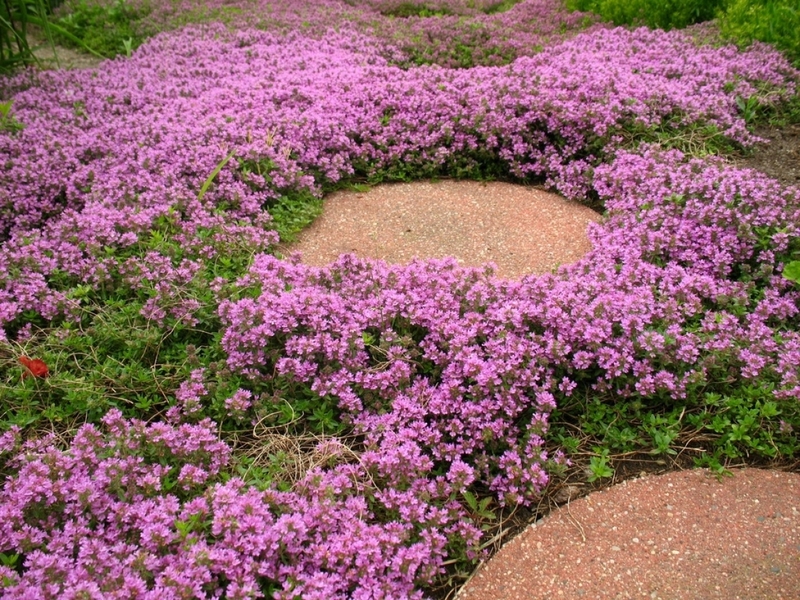 It has a slightly higher growth (up to 8 inch), and has purplish flowers in summer. 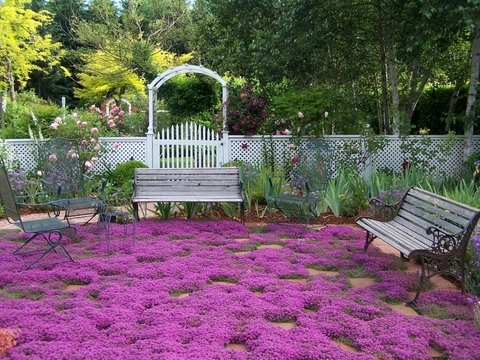 Creeping thyme can be used in cooking, though it is not used as frequently as common thyme. It is used as seasoning for many green salads. Height : 6" - 8"
Note : Thyme seeds are hard to germinate and can take a long time to sprout.